Apple-A-Day Child Care Center, LLC offers a wide variety of child care options to meet your families’ individual needs. We support your childcare needs with full-time, part-time and drop-in services. At Apple-A-Day Child Care Center we create an environment where children learn, play and grow. We empower children, promote individuality and growth creating strong partnerships with family and community. Apple-A-Day Child Care Center accept applications for children ages 6 weeks to 13 years and proudly support a multi-cultural environment for your child’s growth and development. 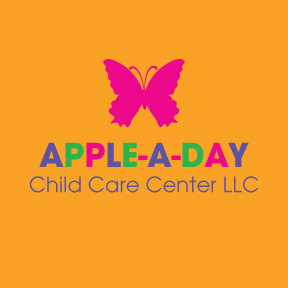 Apple-A-Day Child Care Center opens its doors to you and your family. We invite you to contact us by phone or email. After finding out your specific milwaukee daycare services needs we will invite you to come see our center and meet us. Then we can go over your specific needs more in depth and match our schedules and needs and take it to the next step. We want you to tour our home that we will be sharing with your child so that you can have peace of mind and excitement knowing that Apple-A-Day Child Care Center meets all of your needs. Licensed Family Child Care Center with the State of Wisconsin Facility # 2003380. Participates with the USDA Child Care Food Program through 4-C for Children.